How Much to Charge Per Sponsored Post? 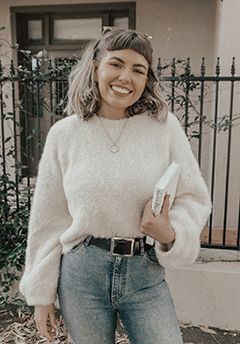 I recently put up an anonymous survey that aimed to collect and collate data relating to sponsored posts and the rates that fellow bloggers charge. I've written out and displayed all my findings in a way that I think is reasonably easy to understand. Best of all at the end of the post, there's a section on how the pageviews and sponsored post rates correlate according to what the majority of bloggers are doing! Finally some information I can really work with. Click on through to see the results, and if you would like to participate in providing more data for the survey, you will find a link to it at the very bottom. How Many Unique Pageviews does your blog Receive Each Month? Out of all of the responses, the majority of people surveyed are on the lower scale of the pageview scheme. Only 6 people surveyed pull in over 10,000 pageviews a month. 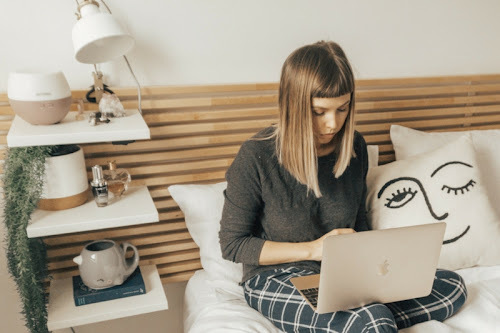 The large majority of people also had less than 100 bloglovin' followers, with the second most common option ranking in at 100-500 followers on Bloglovin'. 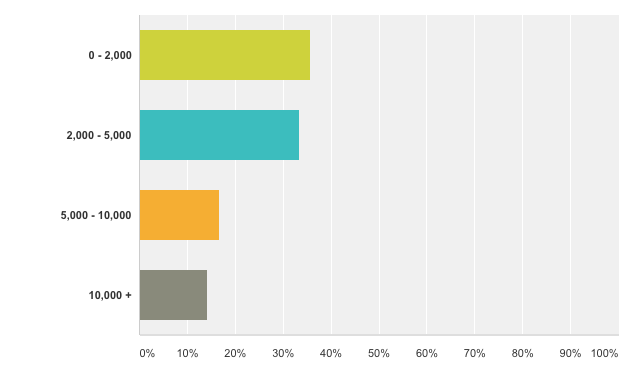 Only 6 people surveyed didn't use Bloglovin' at all. 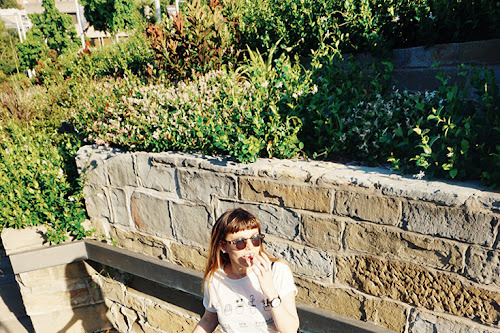 On the favourite way to gauge followers, bloggers love to use Bloglovin' with pageviews coming in at a close second. How do you feel about your current Sponsored Post Rate? To no one's surprise, over 50% of bloggers were unsure about their sponsored post rate. While 30% are sure they don't get enough money per post. Not one person chose the option, they get paid too much. 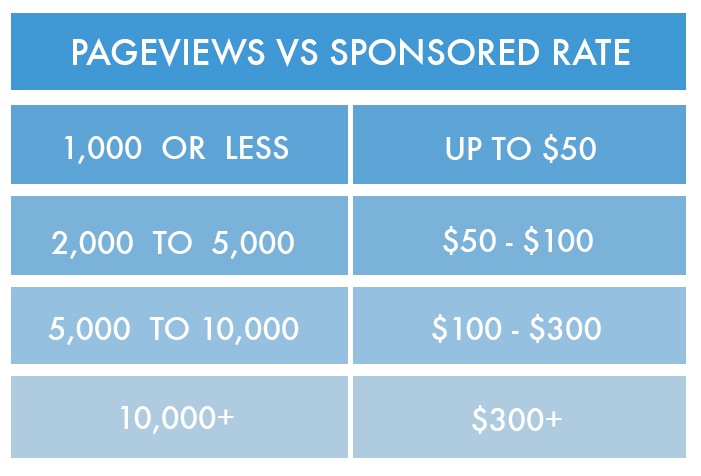 Almost 50% of bloggers are charging and receiving $50 or less for a single sponsored blog post. A good 45 percent of bloggers are charging and receiving between $50 - $300 per post. Which is a lot seeing as 34% of participants are only getting between 2,000 - 5,000 unique pageviews a month. I know I'm in that range and I'm definitely on the lower spectrum of the sponsored rate game. Over 50% of Bloggers do not charge for posts in which they receive and review an item. 33% Charge the same amount, whilst 11% just charge a lower rate. What's the most common reaction you get towards your sponsored blog rate? Even with the a large number of questioned bloggers charging $50+ per post, almost 70% of people surveyed reported a positive response to their set sponsored post rate. Doesn't that just give you more confidence to ask for more, for what you deserve per post? 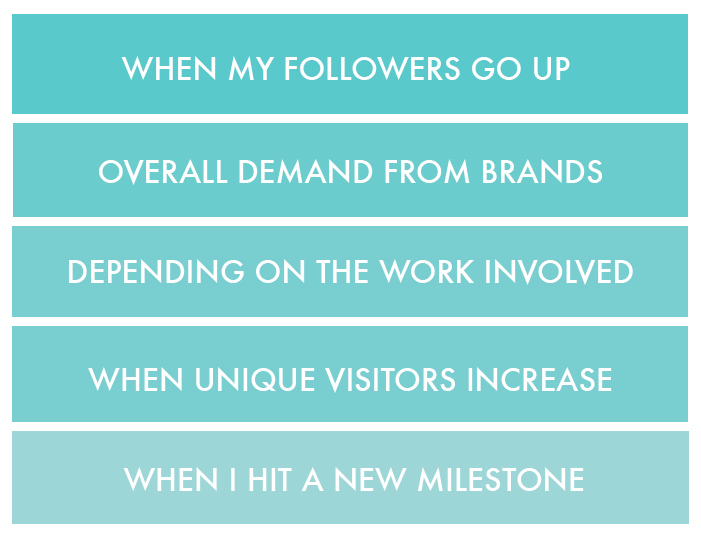 How Do you Decide when you should increase your sponsored post rate? This question had a written answer box. Here are some of the most common answers. Do you generally feel as though you shouldn't be asking for more money per post? 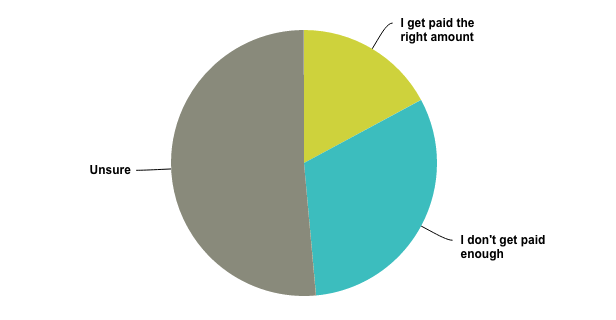 Almost 50% of bloggers feel awkward about asking for a raise when it comes to their sponsored post rate. As well as feeling uncomfortable putting forward a higher than usual sponsored rate. No one wants to be turned down from an opportunity that they want. So I can fully understand why it's nerve racking to make the leap and increase your rate. To an amount that you actually deserve. From all these statistics I can see that bloggers who have similar pageviews and followers, are asking for more per sponsored post, and are actually receiving it. This is only meant to be taken as a basic guide for sponsored rates for beginners. It's purpose is to give new bloggers an outline of what they should be asking for with their sponsored posts. 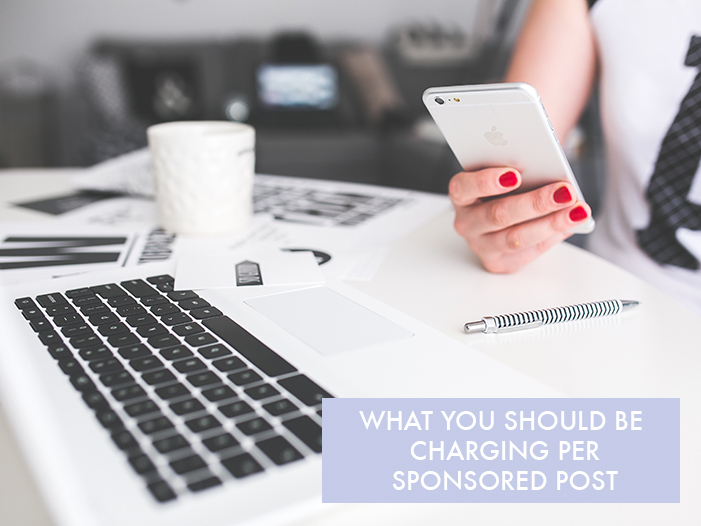 As time goes on and you grow as a blogger, it becomes easier to know the correct rate you should be charging. But for now this acts as a starting point. You can never have too much data on a project like this! If you would like to contribute your own sponsored post rates and pageview results, you can do so by going to the survey! Thanks for helping a sister out! wow this is so detailed! And I am definitely not charging enough! Thanks for sharing this! Not sure if it's just me, but the photos aren't showing up, Tegan. Based on the text, however, this is definitely interesting! I don't think I'm charging enough, really, but I think this definitely gave me a little bit of courage to ask for more! Wonderful post! That is such an helpful post, it's good to have an idea on how much we should charge! I'm definitely not charging enough, but anytime I ask for just $50, they probably think I'm crazy. Always negotiating. Seems like everybody wants to pay around $20-30... My visitors are around 3,000 per month. Anyway, done with the rant, thank you for this post! This was such a fascinating and informative post. Thank you so much - this is something I have been wondering about for quite some time, as I was pretty sure I was underselling myself. OK, this is awesome! I get at the very least 125k pageviews a month and I've been letting people rip me off SUPER HARD if this is what others are charging. This is awesome! Thank you so much! Fantastic survey! Ive learned alot! This is great and it's another opportunity to remind bloggers that working for nothing is never a good idea. Our time is valuable even if we don't have a high page view number. Our social media reach is often very good. From the info you gave, bloggers are seriously undercharging. The minimum, regardless of traffic, should be $1000. If you get 100k uniques and have good engagement, you should be charging at least $10,000 per post (assuming it's something useful for your readers and not just focused on that brand). For a dedicated review, it should be a lot more... closer to $25k. Social media should be around $30 CPM. DOn't sell yourselves short!